In April this year, an important Lucas meeting took place in London that gathered together all branches of the Lucas brand all over the world. On this important date in Lucas’ calendar, all of the activities that the company intends to complete throughout 2018 were detailed. This year, great plans have been set out for all of its members and the objective to keep growing constantly has been maintained, with hard work and completing more marketing campaigns, which help to achieve the common objectives as well as those of each member. The majority of the activities set forth for 2018 centre on Automechanika Frankfurt, which will take place in September. For the first time, Lucas will have a large stand at this event, combining all branches of the Lucas brand. 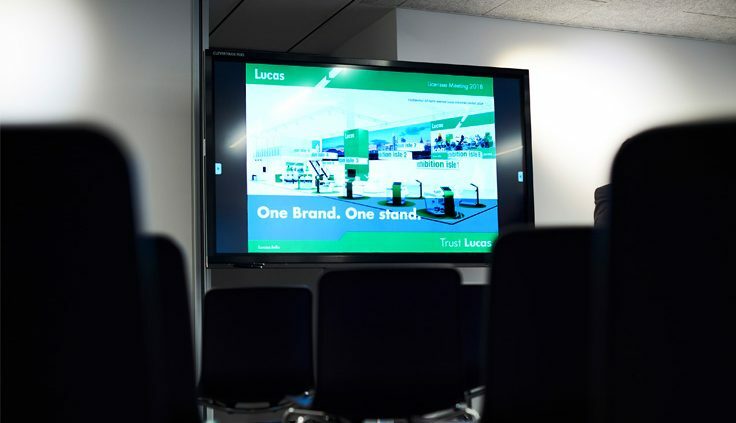 This trade fair will provide a decisive opportunity to demonstrate and convey the true global power of the Lucas brand to everyone who attends this edition. To this end, Lucas will have a large stand located in a privileged spot occupying the central space in Hall 3.0 F51 of Automechanika Frankfurt 2018. Automechanika Frankfurt is the most important international trade fair in the automotive sector. It receives over 136,000 visitors per year, 4,820 exhibitors from 170 different countries and this year will take place from 11 to 15 September.